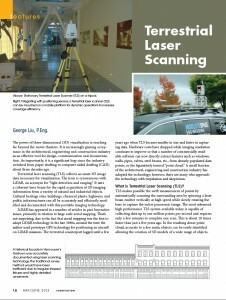 George Liu, P.Eng., a professional member of the Association of Professional Engineers and Geoscientists of BC (APEGBC), wrote an article, titled Terrestrial Laser Scanning. 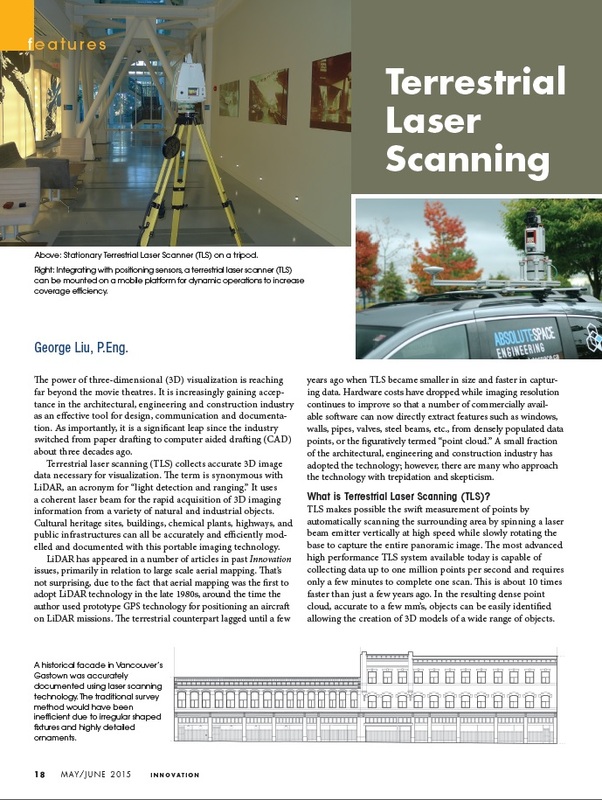 It will be featured on the Association’s 2015 May/June issue of Innovation. A copy is available here. Absolute Space was invited back for another year and gave a talk on Lidar technology to BC filming professionals at their annual conference hosted by the International Cinematographers Guild (IATSE 669), IATSE 891 and the Directors Guild of Canada. 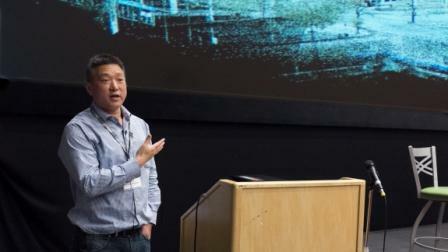 The event was held at the North Vancouver Bosa Centre for Film and Animation Capilano University on May 2-3, 2015.